Spring is probably the best and liveliest of the four seasons, with its promise of clear blue skies and vividly colored blossoms. Oh, what a wonderful season! It probably excites most, but for some less fortunate souls, it may be coupled with dreaded allergies such as runny nose, puffy eyes and itchy, inflamed skin. 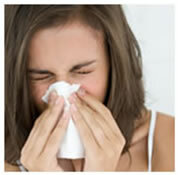 Although allergies during springtime aren’t pretty, it doesn’t mean you can’t be! 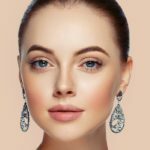 Here are 5 easy tips to help those with sensitive skin put up a fight against those pesky allergens as the season changed from winter to spring, to keep your skin calm and flawless throughout from Easter to Labor Day! We know that during spring, skin is exposed to airborne allergens such as pollen. In recent years however, the expected spring allergy situation seems to be escalating as time goes by, partly due to climate change. It has been postulated that due to rising concentrations of CO2 in the atmosphere, allergen levels of pollen and certain fungal growths such as mold and the spores they release, have also increased. When these allergens set off the release of histamine in susceptible individuals, the skin becomes inflamed and vessels dilate. In short, you’ll turn into an itchy red mess. One easy measure to curb the onset of a springtime allergic reaction is to wash your face as soon as you are home, so that allergens don’t sit on the skin long enough to trigger off skin irritation. Be careful when selecting your face wash, as those who have sensitive skin should not be using anything which is astringent or contain alcohol. The SW1 WARM VANILLA Rose Vanilla Cleanser caresses your skin like a sweet smelling bouquet of April blooms, a light foaming cleanser which gently lifts away dirt, makeup, and other impurities without striping the skin’s essential lipids needed to stay balanced and hydrated. With a potent blend of French sea waters, botanical extracts, gentle seaweed and sugar based exfoliants, WARM VANILLA provides thorough cleansing both day and night while maintaining the integrity of the skin, perfect for those with sensitive skins fighting to keep springtime allergens in check. In general, moisturizing your skin helps it hold on to moisture, resisting damages from drying and abrasion. However for people with sensitive skin, topical creams and lotions may sometimes make things worse by aggravating a contact dermatitis caused by allergens and irritant in the products. Therefore, it is important to select a moisturizer which works to restore the skin’s natural barrier without harming the skin with added artificial fragrances and preservatives. This is a situation when less is more, whereby the less ingredients there are in a product, the less chances one would develop an allergic reaction to any one of them. The SW1 SKIN DRINK Softening & Replenishing Serum is an all-rounder moisturizer that packs an exceptional oomph,a 100% natural, preservative-free serum harnessed from pure naturally-sourced olives that soothes and protects dry, troubled skins gently without causing irritation. Olive oil can nourish, hydrate and rejuvenate, protecting skin with its abundant stores of vitamin E, vitamin A, polyphenols and phytosterols. Unlike most oils which can clog pores and lead to comedones or acne, olive oil penetrates deeply into the skin without creating any blockages. SKIN DRINK not only saturates skin with intense hydration, but also protects it from free radicals and repairs initial signs of ageing. It works like a dream especially on sensitive skins, delivering vitamins and essential minerals to boost dullness to a healthy glow with its remarkable moisturizing properties, and yet remains defiantly non-comedogenic and hypoallergenic, deftly balancing skin’s pH to ward off springtime allergic flares. Let’s face it, stress is not always unavoidable and almost sometimes necessary in our daily life as it fuels us in our daily learning, survival and even creativity. However, too much stress can prove to be overwhelming, affect our overall health adversely many ways, including worsening of one’s response to both known and unknown allergens. So if you already have pre-existing skin conditions such as rosacea, acne or psoriasis, overt stress can dehydrate your skin further, allowing looming allergens and pollutants to seed further damages. 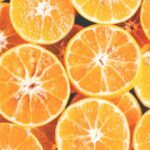 Keeping one’s stress level in check is henceforth a crucial step to cut back on potential inflammatory skin reactions. Engage in mood calming activities such as holistic meditation, rhythmic breathing exercises or yoga,channel your stress away while boosting overall energy, mood and skin health for better living. Christmas was quite a while back but your nose is still as red as Rudolph the Reindeer! Inflamed nasal passages lead to stuffiness, blockage and sneezing, but much of the redness is actually due to frequent nose wiping, further drying out and irritating the skin. Remember to be gentle when you blow your nose to not worsen the situation, using soft, high quality tissue paper while at it. 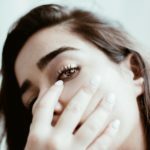 Resist rubbing your nose despite how itchy or irritated you may feel, as this will further aggravate the inflammation and set up a never ending vicious cycle that’s ever more difficult to break. Okay, so some of us have red noses, while others have panda or goldfish eyes. As the eyes may be itchy due to an allergic reaction, rubbing them can darken skin over time as well as hasten the formation of fine lines and wrinkles. 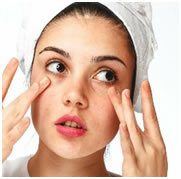 The inflammation may also lead to further retention of fluid and lead to under eye puffiness. Great. Fortunately, there are ways to combat these problems. Talk to your local doctor about eye-drops which may help alleviate the itch and eye redness so you’re less likely to rub at them. 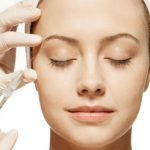 Also try soothing eye gels such as CHAI LIQUID GOLD Ee Illuminating Serum to coax your sensitive skin into stellar condition, an ‘eye-opener’ packed with potent yeux-prettifying 23 carat gold and other powerhouse ingredients including wrinkle-relaxing Argireline, often touted as “topical Botox”. Regular use will dramatically recharge skin elasticity to reverse the signs of photo-damage and dermal aging, targeting directly on skin fibroblasts to visibly improve the appearance of fine lines and wrinkles at the surface level and beyond. LIQUID GOLD works in overdrive to strengthen the skin’s regenerative ability, helping to counteract the visible signs of aging by increasing skin’s natural moisture barrier and restore elasticity to crepey undereye skin. With these great tips in mind, I’m sure you will be more than ready to welcome and enjoy spring with open arms!